Simon Kernick is one of those writers who kept knocking on the door of the writing business, and didn’t let a few rejection slips get him down. Sure enough, he made it as a writer – and a hugely successful one at that – and you can get the ins and outs of his journey on his website here. 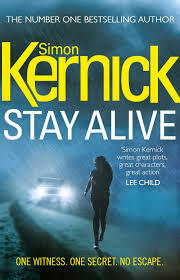 Kernick’s tough coppers and pwopa nawty villains have proved a big success and his latest, Stay Alive, like all the other releases, is published in hardback and kindle on Thursday. One witness: You’re on a trip with your family, miles from anywhere. A shot rings out – and your whole life changes in an instant. One secret: A woman is racing towards you, chased by three gunmen. Although you don’t know it, she harbours a deadly secret. She’s in terrible danger. And now you are too. No escape: You’re running, terrified, desperate to find safety. And if they catch you, you’ll be next . Kimberley Chambers was wondering what to do with her life when she was offered the opportunity to train as a hairdresser. Quite sensibly, she didn’t do that, she wrote a book instead. She writes terrifically about how she found her vocation in life on her website. Do go and check it out if you require a kick up the writing jacksy. 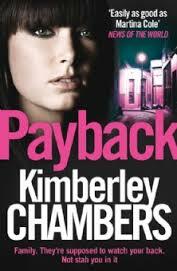 Kimberley’s now on her ninth novel about the diamond geezers and equally steely ladies in who inhabit the East End underworld. Payback is a sequel to The Feud, about sibling gangsters Vinny and Roy. Vigilante Joe Hunter has been knocking criminal heads together across the States in eight previous books. In the ninth, The Lawless Kind, he takes on a Mexican drugs cartel. Presumably, that’s Hunter and a lady friend on the cover. He’s so tough he’s walking to Mexico. Ex-counterterrorist soldier Joe Hunter has been called to Mexico to bring an end to a cartel that preys on the people they smuggle across the US border. Once the mission’s ended, however, Joe’s mission leader and mentor, CIA Black Ops director Walter Hayes Conrad, confesses that the bloody mission is not the real reason Joe has been summoned south of the border. For years, Walter has kept the details of his private life – especially his family – secret from everyone, even his closest friends. But disaster has struck: his great-grandson Benjamin has been abducted, kidnapped by Walter’s sworn enemy, the leader of one of Mexico’s largest drug cartels. Walter will do whatever it takes to get the boy back. And he know Hunter is the man for the job. But there’s one complication — the drug boss just happens to be Benjamin’s father. 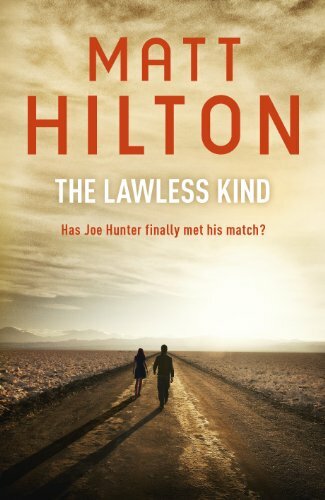 Hunter is as American as you get, but what you may not know is that author of the series, Matt Hilton, is a former Cumbrian policeman and private security expert, who is practiced in the combat art of Kemp Jujitsu. He submitted his novels to publishers for 20 years, and like Kernick, he didn’t give up. 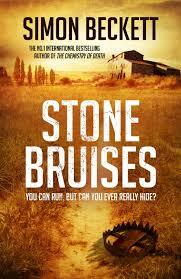 Author Simon Beckett takes time out from his usual novels about forensic anthropologist David Hunter – no relation to Joe – to write a stand-alone novel called Stones Bruises. Sean is on the run. We don’t know why and we don’t know from whom, but we do know he’s abandoned his battered, blood-stained car in the middle of an isolated, lonely part of rural France at the height of a sweltering summer. Simon is another writer who kept plugging away at publishers for years until everything came right – I fancy we’re picking up a pattern here. If you don’t mind the author himself staring at you from the wallpaper of his website, you can read his about his journey to full-time author. This entry was posted in Authors, New Book Releases and tagged David Hunter, Joe Hunter, Kimberley Chambers, Matt Hilton, Payback, Simon Beckett, Simon Kernick, Stay Alive, Stones Bruises, The Feud, The Lawless Kind on January 27, 2014 by Crime Thriller Fella. This week’s book releases feature four very different detectives, who all share one thing in common – a rather unhealthy curiosity in other people’s illegal activities. Kerry Wilkinson has lived the author, dream. His self-published Jessica Daniel novel Locked In became a runaway bestseller and the series was snapped up by Pan Books. Seven novels later, his troubled Manchester copper is still going great guns. 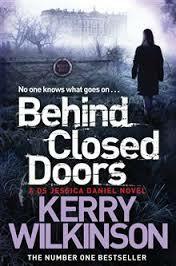 Behind Closed Doors is out tomorrow, and there’s another on the way later in the year. You can get Behind Closed Doors on ebook and in paperback. Kerry has some sensible advice about writing on his website – we all love some good advice – so go check that out right here. Redemption is clearly all the rage this week, there’s more of it in A Song For The Dying. 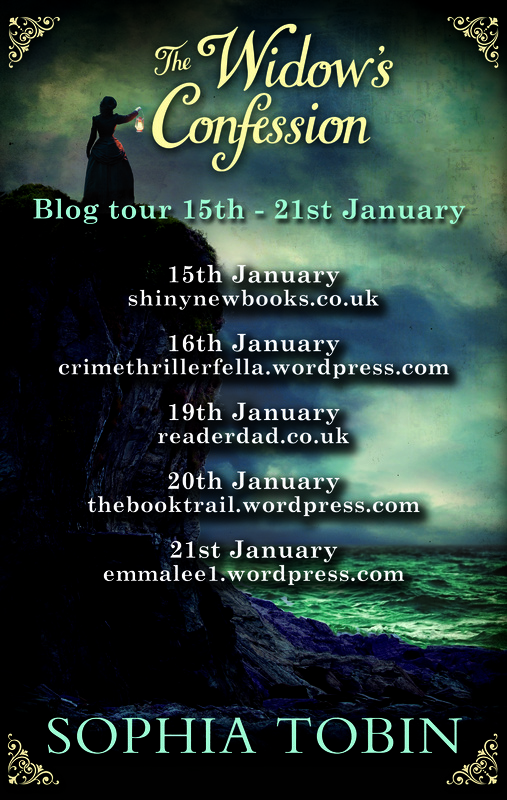 Stuart MacBridge steps away from his usual Logan McRae series to publish the sequel to his grimly violent Birthdays For The Dead, which featured dodgy copper Ash Henderson. I don’t know about you, but I love a dodgy copper – in fiction, at least. 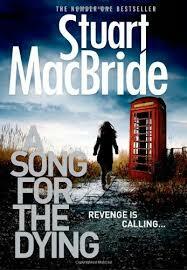 And I love a red phone box, so full marks to someone for putting one of those on the cover. He’s back… Eight years ago, ‘The Inside Man’ murdered four women and left three more in critical condition – all of them with their stomachs slit open and a plastic doll stitched inside. And then the killer just … disappeared. Now a nurse has turned up dead on a patch of waste ground, a plastic doll buried beneath her skin, and it looks as if Ash might finally get a shot at redemption. At earning his freedom. At revenge. A Song For The Dying is released in ebook and hardback. 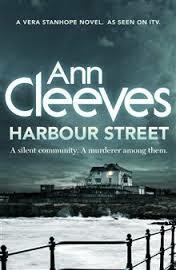 Harbour Street is the sixth book in Ann Cleeves’ Vera Stanhope series, about her bad-tempered Northumbrian detective. It’s now a TV series, of course, the fourth series of which is due to be aired this year – so you may want to read Harbour Street before it’s adapted. As the snow falls thickly on Newcastle, the shouts and laughter of Christmas revellers break the muffled silence. Detective Joe Ashworth and his daughter Jessie are swept along in the jostling crowd onto the Metro. But when the train is stopped due to the bad weather, and the other passengers fade into the swirling snow, Jessie notices that an old lady hasn’t left the train: Margaret Krukowski has been fatally stabbed as she sat on the crowded train. Soon Vera and Joe are on their way to the south Northumberland town of Mardle. Retracing Margaret’s final steps, Vera finds herself searching deep into the hidden past of this seemingly innocent neighbourhood, led by clues that keep revolving around one street . . . Why are the residents of Harbour Street so reluctant to speak? Harbour Street is released in ebook and hardback. 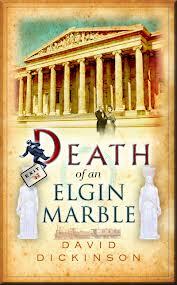 Death Of An Elgin Marble takes us back to a more noble time. It’s the twelfth Lord Francis Powerscourt novel, about the Victorian detective who is descended from Irish aristocracy. The British Museum in Bloomsbury is home to one of the Caryatids, a statue of a maiden that acted as one of the six columns in a temple which stood on the Acropolis in ancient Athens. Lord Elgin had brought her to London in the nineteenth century, and even though now she was over 2,300 years old, she was still rather beautiful – and desirable. Which is why Lord Francis Powerscourt finds himself summoned by the British Museum to attend a most urgent matter. The Caryatid has been stolen and an inferior copy left in her place. Powerscourt agrees to handle the case discreetly – but then comes the first death: an employee of the British Museum is pushed under a rush hour train before he and the police can question him. Author David Dickinson isn’t the telly chap with the mahogany skin and exceptional hair, but he was once the editor of both Newsnight and Panorama, no less. The first Powerscourt novel, Goodnight Sweet Prince, appeared way back in 2002. Ebook and hardcover, since you ask. This entry was posted in New Book Releases and tagged Ann Cleeves, Behind Closed Doors, David Dickinson, Death Of An Elgin Marble, Goodnight Sweet Prince, Harbour Street, Kerry Wilkinson, Locked In, Logan McRae, Lord Francis Powerscourt, Stuart MacBride, Vera Stanhope on January 15, 2014 by Crime Thriller Fella.